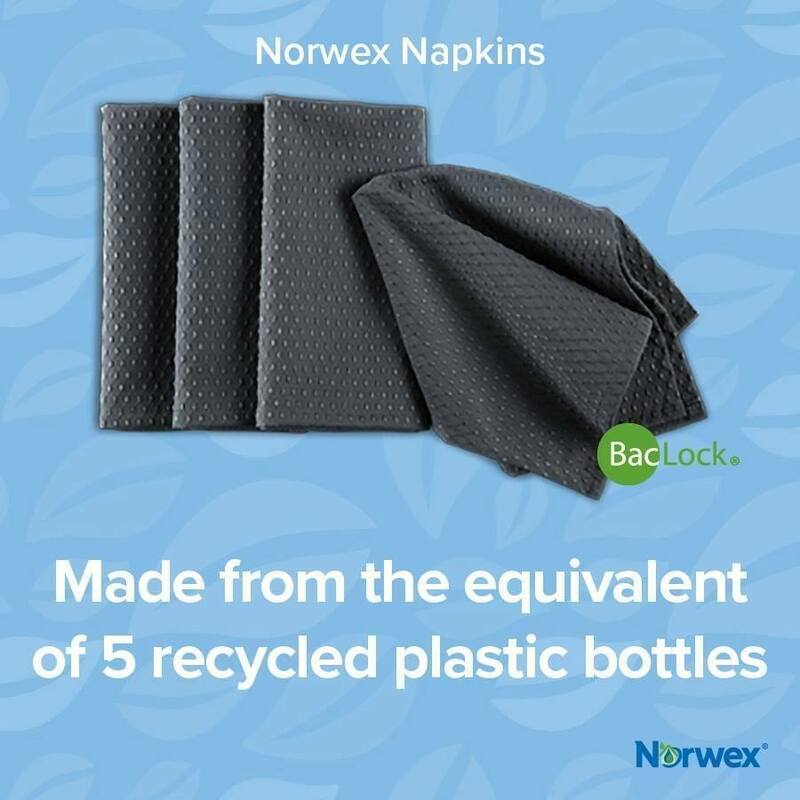 The Norwex Recycled Napkins are made from 50% recycled materials. These ultra-convenient napkins provide an eco-friendly alternative to wasteful paper towels or disposable serviettes. They contain the Norwex BacLock micro silver agent, allowing them to self-purify and inhibit bacterial odour, mould and/or mildew growth within the cloth. Where to Use: Complements any décor with a choice between graphite and the new peacock colour (see below for an image), replace wasteful paper towels, disposable serviettes and time consuming fine linens. They are ideal in the home, for holidays or picnics. Why not have one each at the table with your own serviette rings, and keep using the same one until it needs washing (this is what my grandparents always did!). Here’s the fabulous North American consultant to explain a bit more about these fab serviettes (I really can’t bring myself to call them napkins!). 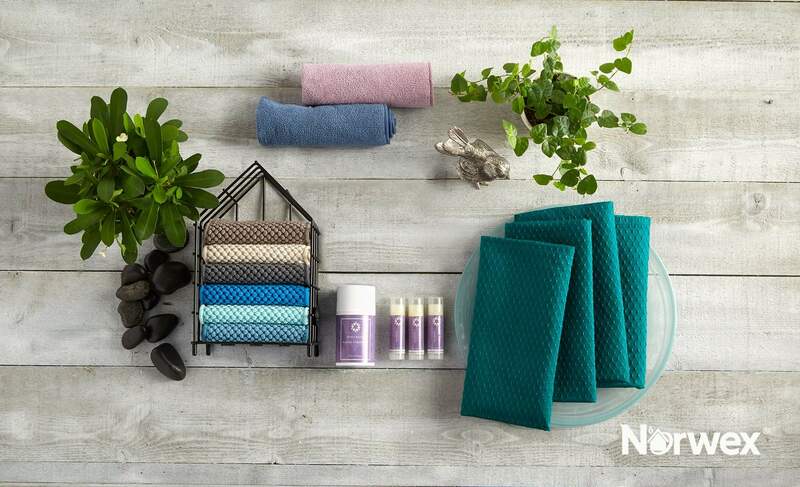 You can buy the Norwex Recycled Napkins online from me, In Australia. or you can buy them in New Zealand here (from Louise Swart). If you are elsewhere, check Norwex.com to find a consultant in your country. Of course, if you already have a Norwex consultant, you can contact them directly to order. And finally, take a look at the new colours available in the Norwex Napkins AND the body cloths!